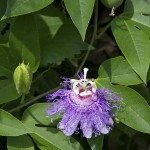 I want to plant a fruit off my passion flower vine. Will it grow? Yes, you can propagate with the seeds. Here is a link to help you.